The Global and International Studies Graduate School organizes a new conference about “The Trump Presidency and the Upcoming Elections” to be held on 26 March in Salamanca. Professor Fernando López-Alves, Director of the Global and International Studies Master Program, will be the main speaker. Venue: Room 009, Faculty of Law. Previous Previous post: “Relaciones Científicas Internacionales.  Ciencia, Tecnología e Innovación en el Sistema Internacional del siglo XXI”, the new book of Francisco Del Canto Viterale. Next Next post: Our faculty member Peter Kuznick has been interviewed by Activism.